(TibetanReview.net, Sep07, 2016) – A coalition of human rights organization in Taiwan has on Sep 5 announced that it will collaborate with the Tibetan Parliament-in-Exile through the setting up of an All-Party Parliamentary Group for Tibet in the Taiwanese Parliament. 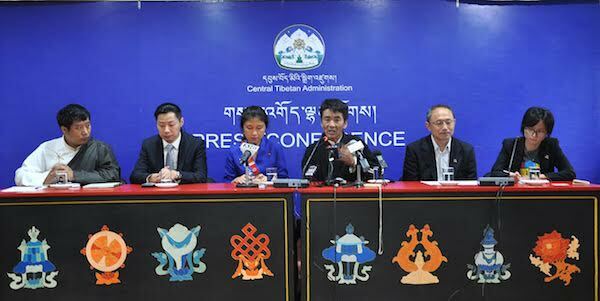 The coalition, the Human Rights Network for Tibet and Taiwan (HRNTT), will also launch various start-up projects with Tibetan settlement offices in India. The coalition is made up of Tibetan and Taiwanese social activists, college professors, writers, students and legislators, who have been for long been supporters of the Tibetan cause. At the press conference in Dharamshala where the coalition’s Launch was announced, 11 members were present. They included two legislators, namely Tshiong-tso Lim, founding leader of the New Power Party; and Kolas Yotaka, who belongs to the ruling Democratic Progressive Party in Taiwan. Ms Yotaka, who represents the indigenous peoples of Taiwan, said she was currently working on amending her country’s immigration law to ease the citizenship norms for Tibetans living in Taiwan. Legislator Tshiong-tso Lim, also known as Freddy Lim, declared that the setting up of an All-Party Parliamentary Group for Tibet will be finalized in the upcoming parliament session on Sep 13. He spoke of having extended an invitation to the Dalai Lama to visit Taiwan, with the hope that he can deliver a speech in the parliament. The network members met with the Dalai Lama on Sep 5 morning and also with the Sikyong Lobsang Sangay later on. The other members of the delegation were Prof Hao-Jen Wu, executive board member, Taiwan Association for Human Rights; Eeling Chiu, Secretary General, Taiwan Association for Human Rights; Yibee Huang, CEO of Convenants Watch; Prof Shu-Ya Lin, Deputy President, Amnesty International, Taiwan; Hsinyi Lin, executive director, Taiwan Alliance to end the Death Penalty; Si-Han Lu, Yokata’s assistant; and Ting-Yu Chang, Freddy Lim’s assistant.